Cygnus OA-8 is the eighth operational cargo-delivery mission by Orbital ATK’s Cygnus spacecraft under NASA’s Commercial Resupply Services Program to keep the International Space Station stocked up on supplies and deliver new experiments. The mission features a demonstration of the TangoLab laboratory facility to allow Cygnus to double as a temporary science module and the craft will deploy a record number of CubeSats after departing the Space Station following a planned one-month stay. 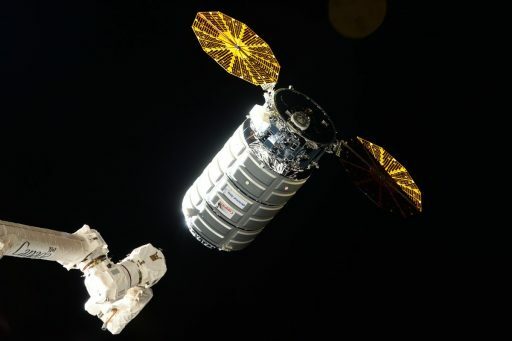 The mission is officially designated Cygnus OA-8E to denote it is part of an extension to the original Commercial Resupply Service 1 contract to bridge a gap to the start of CRS-2 missions that will cover the Station’s cargo needs through the first half of the 2020s. Under the extension, Orbital ATK received an additional three mission orders through February 2019 while CRS-1 partner SpaceX received a contract extension of eight additional Dragon 1 missions starting in late 2017 and running through 2020. Orbital ATK’s Cygnus made its first launch in 2013 atop the company’s Antares rocket followed by a pair of operational missions before Antares encountered a catastrophic launch failure on the Orb-3 mission in October 2014 – causing a long stand-down of Antares launch operations. 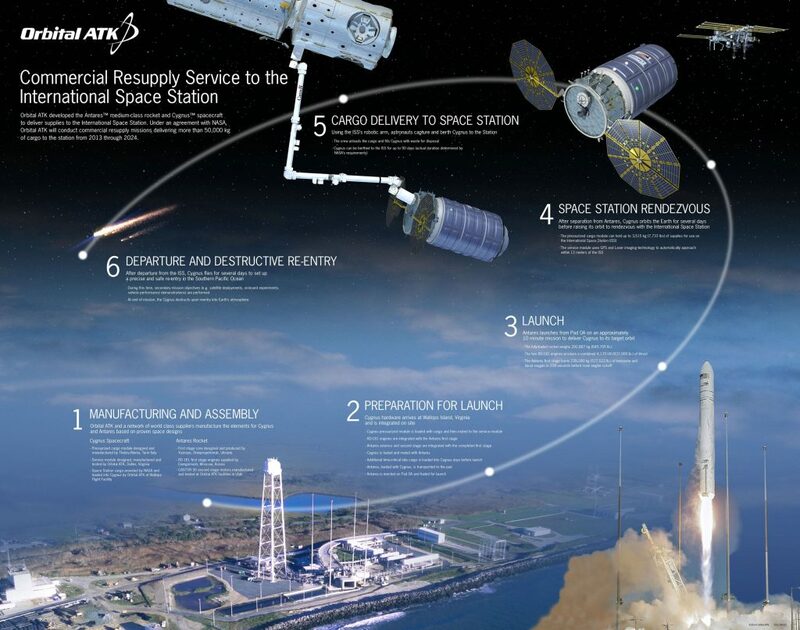 While Antares was being redesigned to use new engines, a pair of Cygnus missions launched on Atlas V rockets to keep up a steady chain of supplies headed to ISS. 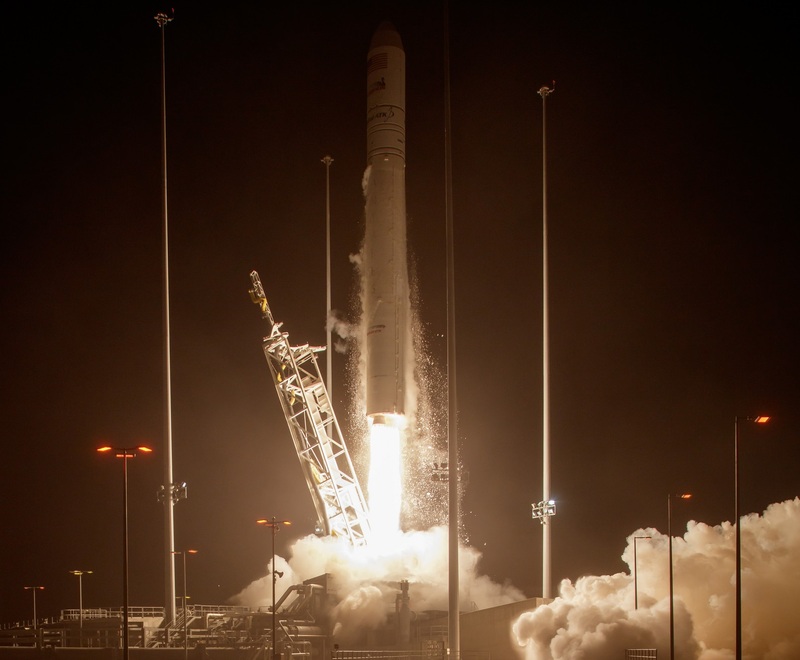 Although the revamped Antares successfully debuted in October 2016, Orbital ATK placed the OA-7 mission on an Atlas V to ensure it could keep up its obligations to NASA and avoid excessive pressure in getting the second Antares 200 rocket to the launch pad. 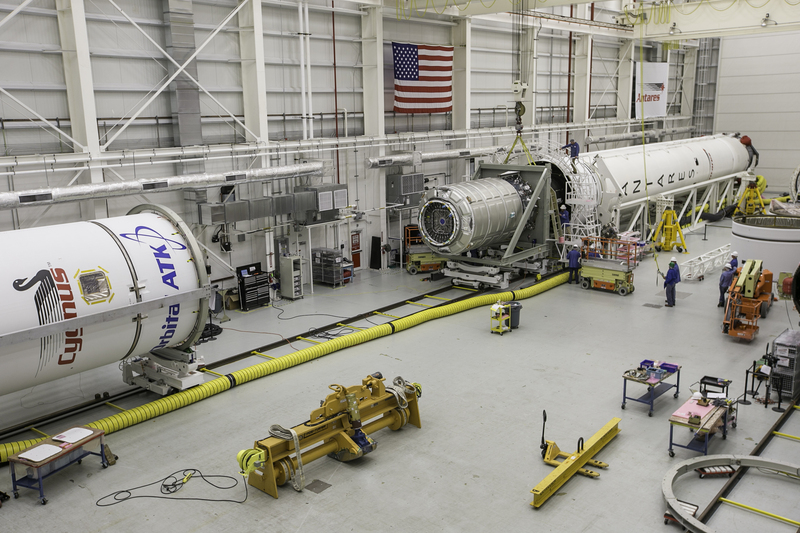 Starting with OA-8E, all remaining Cygnus missions under CRS-1 will be flying on Antares 230 rockets that now use Russian-built RD-181 engines instead of the AJ26 engines that were implicated in the failure of Orb-3 and had also shown problems on the test stand. Offering a higher performance, the RD-181 also allow Cygnus to be loaded with a greater cargo mass for delivery to the International Space Station. The Cygnus OA-8E mission is carrying a total cargo upmass of 3,338 Kilograms, comprised of the typical mixture of science investigations, crew supplies, maintenance gear and spacewalk equipment. The spacecraft is also hosting a NanoRacks CubeSat Deployer loaded with 14 CubeSats for deployment after Cygnus departs ISS into an independent orbit around 500 Kilometers in altitude to give the satellites additional lifetime compared to deployment directly into the ISS orbit. The experiment hardware aboard the Cygnus OA-8E satellite supports dozens of over 250 experiments underway as part of ISS Expeditions 53/54, taking advantage of having four crew members on the U.S. segment to ramp up the Station’s science program. The Cygnus OA-8 spacecraft has been named the S.S. Gene Cernan after former Astronaut Eugene Cernan who passed away in January 2017. Cernan flew as part of Project Gemini, traveled to the Moon and back on Apollo 10 in the ‘grand rehearsal’ for the historic Apollo 11 mission and returned to the Moon in 1972, becoming the last human to leave a footprint on the Moon under program Apollo. 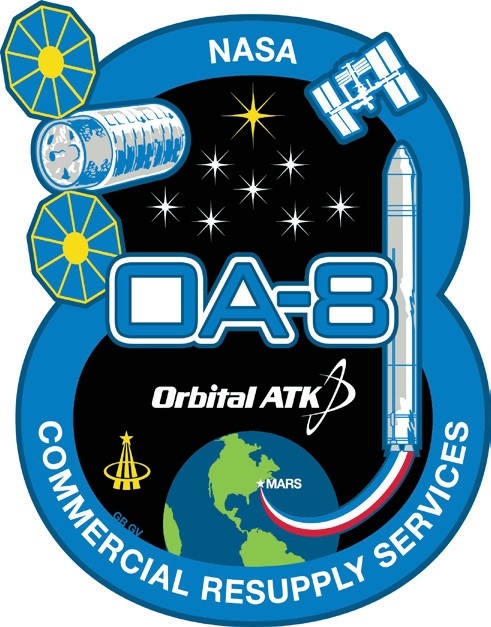 OA-8 is set for liftoff in November 2017 and is booked for a month-long stay at the Space Station to facilitate the transfer of internal cargo to the Space Station and the demonstration of the TangoLab system. Two powered polar freezers will launch aboard the Cygnus, loaded with cold stowage items including various samples to be exposed to the space environment. 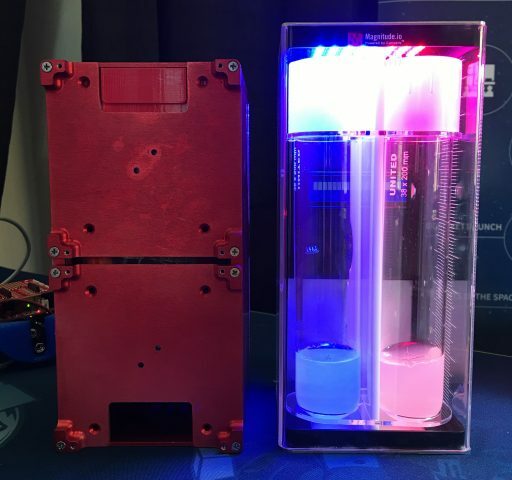 The initiative includes a space-based experiment to be performed in December 2017 and ground-based experiments schools can perform in identical ExoLab facilities procured from magnitude.io. Students can look for relationships between the environmental conditions found on Earth and in the space environment that may impact how the plants develop and grow. Tenebrio Molitor, going by the full name of “Effects of Microgravity on the Life Cycle of Tenebrio Molitor,” explores how the microgravity environment affects the life cycle of mealworms which are considered good test subjects since they are well-studied organisms. The automated experiment apparatus, also hosted in the TangoLab facility, will collect regular imagery of mealworm growth stages from larva to adult life to be compared to mealworms developing on Earth with sample returned to Earth for additional laboratory analysis after exposure to space. Mealworms are of profound importance on Earth since they are able to survive on a minimal fiber-based diet while representing the most popular source of alternative protein in the developing world and considered critical for future Earth population maintenance. A space-based experiment looking into the adaptation or altered growth phases in mealworms may highlight new, possibly more efficient methodologies for mealworm growth and harvesting for consumption on Earth or – further down the line – as protein supplements on long-duration space missions to distant targets. Another interest prospect of efficient mealworm growth could be their ability to degrade polysterene in waste disposal. The Tenebrio Molitor experiment hosts several larvae of the same reproductive phase placed in a ventilated container that also provides oats to serve as mealworm food and carrot slices to provide water. Imaging is provided at regular intervals over the course of the mission for the identification of visual effects of potential morphological responses to microgravity. The hypothesis of the experiment is that mealworms will grow larger and reach maturity faster in the space environment, compared to Earth-based control experiment runs. 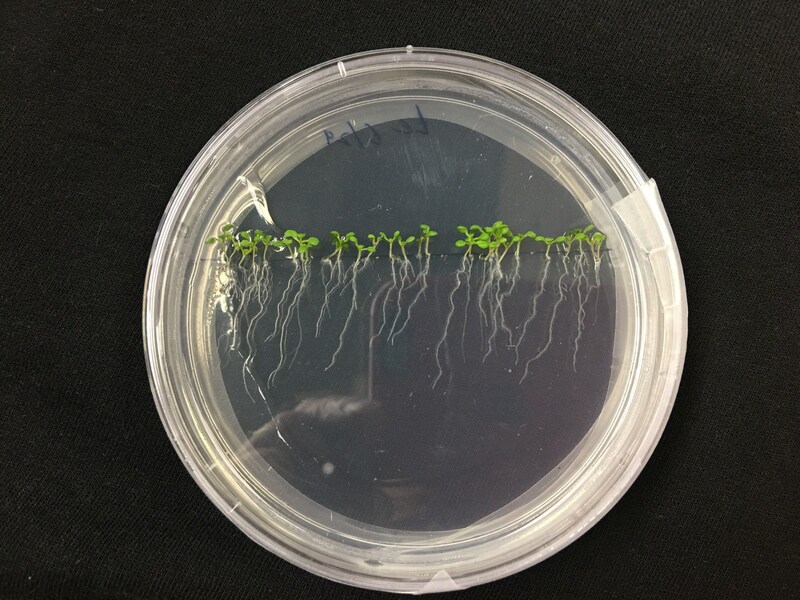 The “Biological Nitrogen Fixation in Microgravity via Rhizobium-Legume Symbiosis” experiment looks into how microgravity conditions can affect the nitrogen fixation process in a well-known legume – microclover. 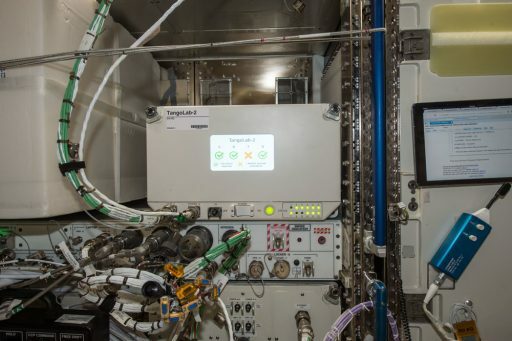 Hosted by the TangoLab module, the experiment features a plant support chamber and sensors to track the atmospheric nitrogen content throughout the mission to assess nitrogen capture rates in microgravity and allow comparison to Earth-based experiments followed by detailed lab analysis of returned plant samples. Nitrogen fixation through biological processes (BNF) is crucial in Earth’s Nitrogen Cycle as it represents the conversion of atmospheric nitrogen into soil nitrogen that is usable by plants. Legumes are very efficient when it comes to this process and often develop a symbiotic relationship with prokaryotic bacteria in order to convert atmospheric nitrogen into organic compounds in the nodules of the root system of the plant. This particular experiment looks at the symbiosis between microclover and rhizobium bacteria to acquire a better understanding of the fixation process in a microgravity environment which could potentially advance technology in the field of commercial soil nutrition. The experiment facility contains a wetted, loamy soil mix, several sprouted microclover seeds and various sensors. Regular measurements of gaseous nitrogen within the sealed experiment chamber will be used to quantify the fixation rate while nitrate measurements in the soil media occur pre- and post-flight. A camera system documents the plant growth process over time. Understanding the nitrogen fixation processes in space will be of importance for future mission designs with landed habitat missions where crews would rely on plant growth as food source. Earth-applications are supported by analyzing the nitrogen cycling abilities of a plant frequently used for soil conservation. Photo: Tom Kyler, Space Technology and Advanced Research Systems, Inc.
STaARS BioScience-5 studies how Staphylococcus aureus – an opportunistic bacterium that is a common cause for skin infections – loses its harmful properties and characteristic yellow-golden color when exposed to microgravity. Experiments such as this can exploit the unique environment found on the Space Station to reveal previously unknown regulatory processes that naturally occur on Earth but are not detectable using traditional laboratory methods and could offer pathways to disarming pathogens through medication. Staph aureus is named for its golden color as ‘aurum’ is the Latin word for gold. It is a member of the normal flora of the body and is not always pathogenic, though in around 30% of its carriers can cause skin and respiratory infections and food poisoning. In spaceflight-analog cultures, the cartenoid responsible for the bacterium’s characteristic color is drastically repressed, representing a significant and easy-to-read biological indicator of a response to the spaceflight environment. Furthermore, pigmentation is a tracer for the virulence of many pathogenic microbes including methicillin-resistant Staph aureus (MRSA). The biochemical mechanisms for cartenoid synthesis within S. aureus are well understood, but the regulatory factors affecting their production are largely uncharacterized and knowledge is also incomplete on whether microbes can regulate their pigment production in favor of survival under changing environmental conditions. Understanding the mechanisms behind pigment production and virulence is critical when attempting to develop treatments. Furthermore, knowledge on the antioxidant properties of pigments may also be beneficial in promoting human health. The use of the actual space environment for further studies of S. aureus may yield additional information on previously undiscovered regulatory pathways. STaARS BioScience-5 hosts automated culturing equipment to grow S. aureus in space and deliver cultures to an observation chamber at regular intervals to employ a microscope to study morphological changes of the bacteria cells while a spectro-photometer provides precise information on pigment concentration at various points in the experiment. The experiment is conducted using the Nexus Lab hardware and is part of the late stowage items prior to launch, being ferried to the Space Station in cold stowage where the samples are scientifically stable for two weeks. 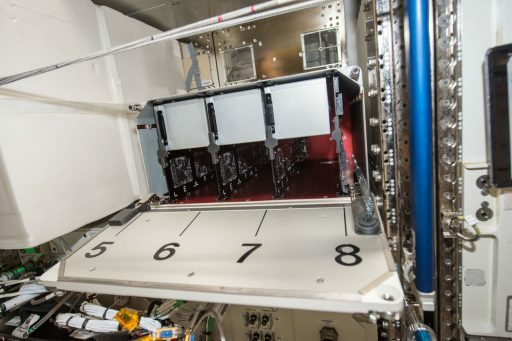 Upon arrival at ISS, the NexusLab is installed in the STaARS-1 Experiment Facility where the experiment will run for ten days before being placed into cold stowage for return. A second experiment performed after the initial space-based experimentation will look at the interaction of a proprietary drug on a specific cell type. 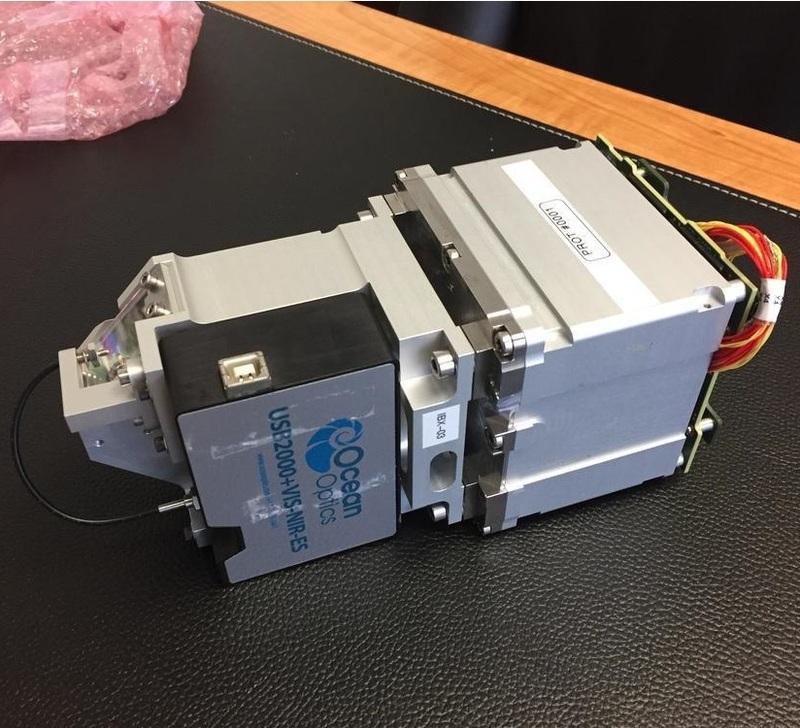 The E. coli AntiMicrobial Satellite (EcAMSat) is a 6U CubeSat dedicated to an investigation on whether and how microgravity affects the antibiotic resistance of E. coli, a well-known bacterial pathogen for gastro-intestinal infection in humans and animals. Developed in a collaboration between NASA’s Ames Research Center and Stanford University, the mission uses heritage from the PharmaSat project flown in 2009 with a number of upgrades. The overall objective of the experiment is determining the lowest concentration of antibiotic that inhibits bacterial growth. ISARA – the Integrated Solar Array and Reflectarray Antenna – is a technology demonstration CubeSat undertaken by NASA’s Jet Propulsion Laboratory to demonstrate a Ka-Band reflectarray antenna that will boost data rates for small-satellite missions from a baseline of 9.6kbit/s to over 100Mbit/s while doubling as a solar array – combining two essential satellite functions into one integrated system for a modest increase in spacecraft mass. 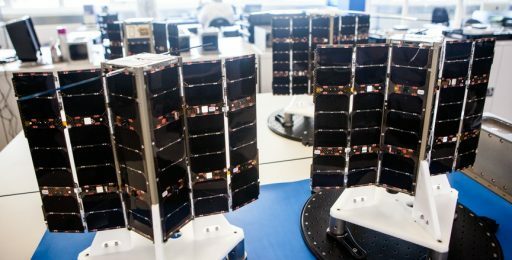 Data budgeting and power generation have become two fundamental issues for CubeSat missions: sensors like cameras, meteorological instruments and onboard computing elements have reached a stage of miniaturization where small CubeSats can generate a data volume matching that of flagship satellite missions. 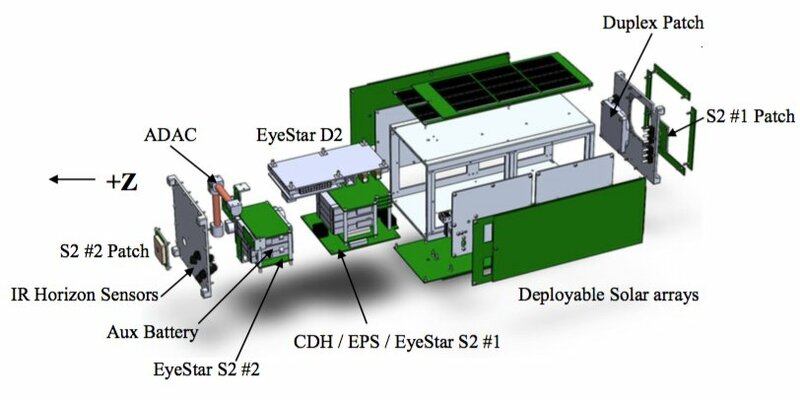 The Optical Communications and Sensor Demonstration is a CubeSat technical demonstration mission by the Aerospace Corporation dedicated to testing of a small laser communications system that could increase the volume of data downlinked by small satellite missions. Furthermore, the satellite tests a cost-efficient optical sensing system for spacecraft rendezvous and stationkeeping. The Aerospace Corporation was selected for the OCSD project by NASA in 2012 under the Small Spacecraft Technology Program. The goal of the project was the in-flight validation of a number of Commercial Off-the-Shelf components and subsystems, in particular communications and proximity operations capabilities. 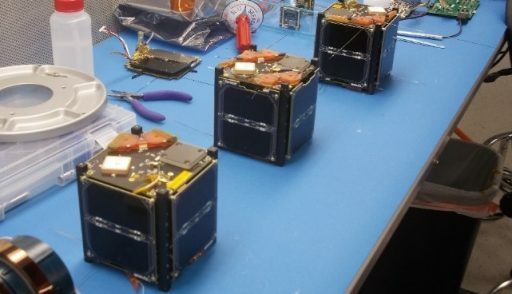 PropCube 2 is the third of three PropCube satellites developed by the Naval Postgraduate School (NPS), flying under the Propagation CubeSat series to study artificial ionization in Earth’s ionosphere. 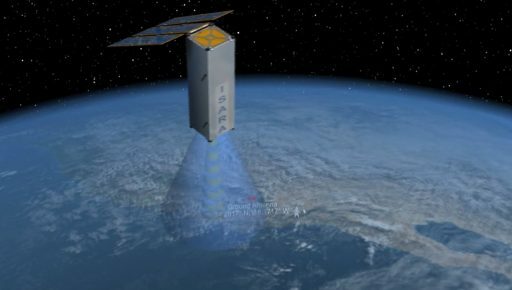 Developed by the NPS, the satellites use a commercial 1U CubeSat platform provided by Tyvak NanoSatellite Systems integrated with purpose-built sensors to measure ionospheric electron density and irregularities. Featuring UHF and S-Band receivers, the satellites are tasked with measuring total ionospheric electron content, plasma irregularities by their amplitude and phase scintillations, and artificial ionospheric disturbances. 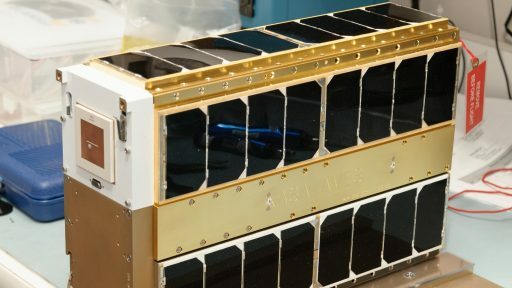 Several Lemur-2 satellites, operated by Spire Global, are launching aboard the Cygnus OA-8 mission to replenish and expand the company’s constellation dedicated to obtaining global atmospheric measurements for operational meteorology and tracking ship traffic across the planet for various commercial applications. Lemur-2 was inaugurated in 2015 with the launch of four satellites atop an Indian PSLV, introducing the STRATOS and SENSE instruments. Asgardia 1 is a proof-of-concept / outreach mission operated by Asgardia Space, the self-proclaimed ‘Space Nation’. The 2.8-Kilogram 2U CubeSat hosts a 512-gigabyte Solid State Drive that launches with pre-loaded data to demonstrate long-term data storage and data integrity in the challenging radiation environment in Low Earth Orbit. Two radiation sensors are also part of the satellite’s payload to map solar flux and measure accumulated radiation dose on the outside and inside of the satellite. Asgardia, officially the ‘Space Kingdom of Asgardia,’ is a proposal to create a new nation that will allow for access to outer space free of the control of other nations. In the current system under the Outer Space Treaty, governments have to authorize and supervise all space activities, be it by a government agency, commercial entity or private individual. By creating an independent nation, the project hopes to avoid restrictions imposed by the current system. Members of the public were invited to ‘become citizens’ by signing Asgardia’s constitution and the intent is to apply for membership to the United Nations in 2018. The project was initiated in 2016 by Russian scientist and businessman Igor Ashurbeyli who also serves as Head of Nation, though the intent is to move to a democratic system. The Asgardia 1 satellite project is reportedly self-funded by Ashurbeyli. 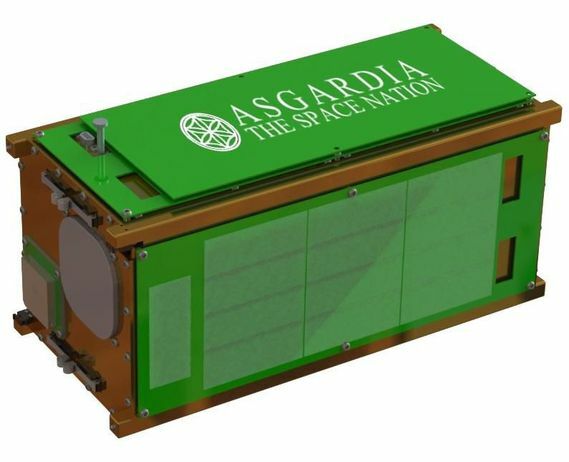 The file storage on the nanosatellite is to be loaded with personal files from the first 1.5 million members of Asgardia (=Asgardians) with data allocations of 500 kilobytes for the first 100,000 members, 200kB for the next 400,000 and 200kB for the next million. Files submitted can be images, music, video or text provided the uploader holds the copyright to the media they submit. Additional data will be up/downloaded from the satellite through the GlobalStar satellite constellation. Built, launched and deployed by NanoRacks, the Asgardia 1 satellite and the data it contains will fall under U.S. jurisdiction. CHEFsat, going by the full name of Cost-effective High E-Frequency Satellite, is a 3U CubeSat mission dedicated to demonstrating consumer communications technology for use in space. The mission is operated by the Naval Research Lab. 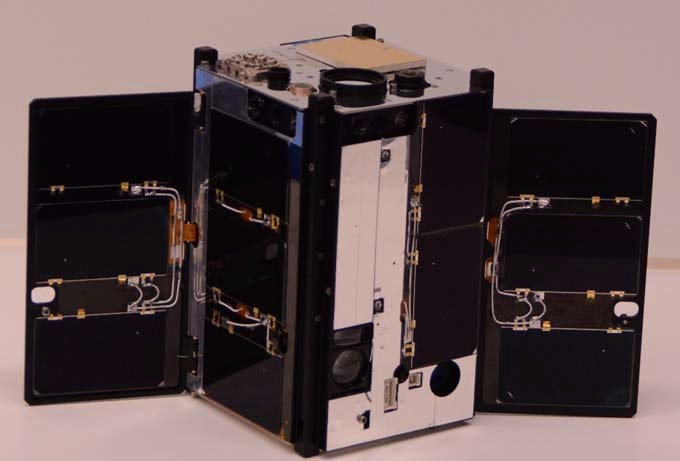 According to information released by NASA, “CHEFSat specifically readies a consumer-grade radio frequency device for wider space use by testing its safety and effectiveness in a working CubeSat.” Miniaturization of various electronic components for consumer devices has not gone unnoticed by the aerospace sector and offers an opportunity of integrating small-sized electronics into satellites to reduce power consumption and free up payload volume. Further details on the satellite and its payload are not available.